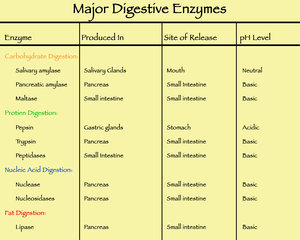 Enzymes are involved in many important body processes, including digestion, energy production and more. This newsletter is part 2 in a two-part series detailing the different ways these substances support health, and how taking them in supplement form might help you. Enzymes and Immunity There is a growing body of scientific evidence showing that metabolic enzymes can provide nutritional support for many areas of health, including immunity. Metabolic enzyme supplements are increasingly used; however it must be noted that limitations exist on the information that can be discussed regarding the potential benefits of dietary supplements. There are a host of immune disturbances where the body’s own defense mechanisms may attack body tissues (autoimmunity). In these circumstances, immune reactions occur in a manner that can lead to an abnormal inflammatory response, potentially affecting body tissues. It is believed that some enzymes can influence the chemical consequences of immune reactions, but this is not an easy area of nutritional self-management. It is always best to discuss the use of enzyme supplementation with knowledgeable healthcare givers. Enzymes Combinations A review of literature on the health benefits of enzymes has led me to develop combination enzyme supplements. These dietary supplements contain a combination of enzyme preparations including bromelain, chymotrypsin, pancreatin, papain, trypsin, amylase, lipase and elastase, together with bioflavanoids, including rutin from biologically active sources. I believe that enzyme combinations have many advantages over single enzymes because of a broader range of action, under different conditions, on many different tissues. This is the concept of synergy when applied to combined digestive and metabolic enzyme supplements. This approach may make systemic or metabolic enzymes more effective in their ability to impact body structures and functions in a favorable manner. Systemic enzyme supplements have been used with apparent safety for many years, both in the practice of medicine and in freely available dietary supplements. Safety Issues with Metabolic Enzymes There are no significant side effects to be expected with oral enzyme supplements, used at recommended dosages, in individuals who are not known to be allergic to the components of the enzyme supplements. There is good scientific agreement that enzyme preparations obtained from suitable sources are quite safe. Enzyme supplements are not to be used during pregnancy, and their use in children must be supervised by a knowledgeable medical practitioner. Any signs of allergic reaction should result in immediate discontinuation of enzyme supplements, and any individual with a bleeding tendency from any cause, including drugs or diseases, should avoid metabolic enzyme supplements unless prescribed by a physician for a specific, valid reason. Enzymes should not be administered by enema, in topical applications or by injection without prescription and supervision by a medical practitioner. Keynote Summary: Enzymes There are several combination enzyme products that claim health benefits, and some of these products are accompanied by illegal treatment claims. Enzyme deficiencies have been variably associated with many disorders including: hardening of the arteries, increased blood clotting tendencies, high blood pressure, low blood sugar, obesity, fatigue, leaky guts, constipation, bad breath, allergies and skin problems, to name a few. Of course, this does not necessarily mean that enzyme supplementation can prevent or treat any of these diseases, in any consistent manner. Manufacturers of bulk enzymes from various natural sources recommend enzymes as nutritional support for many conditions including indigestion, sugar intolerance in the diet, fatigue and general nutritional support, but evidence of the benefit of enzymes in several of these instances may not be complete in scientific literature. Conclusion The science of metabolic enzyme supplementation is emerging, and their potential benefits cannot be ignored. While most commonly used to support healthy inflammatory response, metabolic enzyme supplements may also provide nutritional support for cardiovascular health, and more. When considering supplementation, be sure to discuss the possibilities with your healthcare provider.